Welcome to Advertima. We combine machine learning, computer vision, and smart data to visually interpret human behavior in the physical world. More specifically, we detect people's physical appearance, their full-body motion and the situational context in real-time. In short: We are a Tech-Startup and we develop an AI-driven computer vision technology to enable organizations to better understand their customers and audiences and engage with them in the physical world. Our software is already operational with prominent clients, and now it is time to conquer the world. Do you want to help shape our success story? 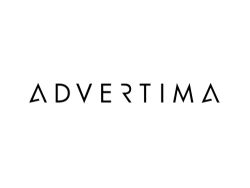 Advertima is a company that creates an artificial intelligence that analyzes people in its surroundings. It recognizes features like age, gender, emotions, etc. and reacts by creating personalized and positive experiences. This brings proactive and intelligent customer interaction from the virtual into the real world. With the Advertima software, any screen, speaker or light installation can become smart and able to interact with people.